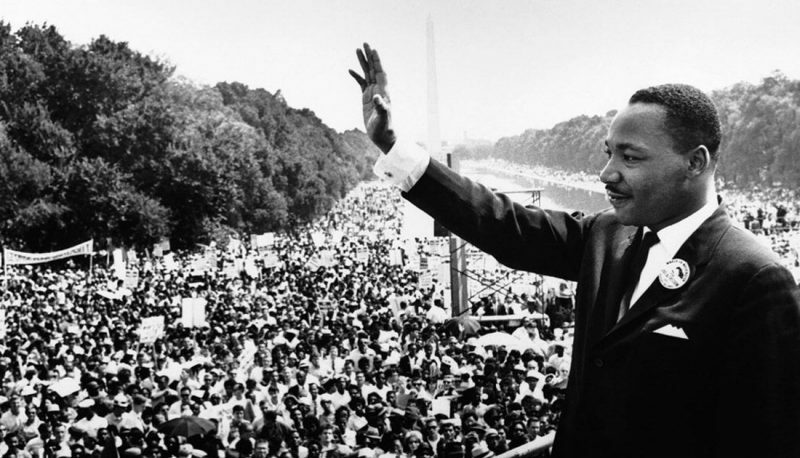 As we discussed in a recent episode, young people are on the front lines of the progressive movement. 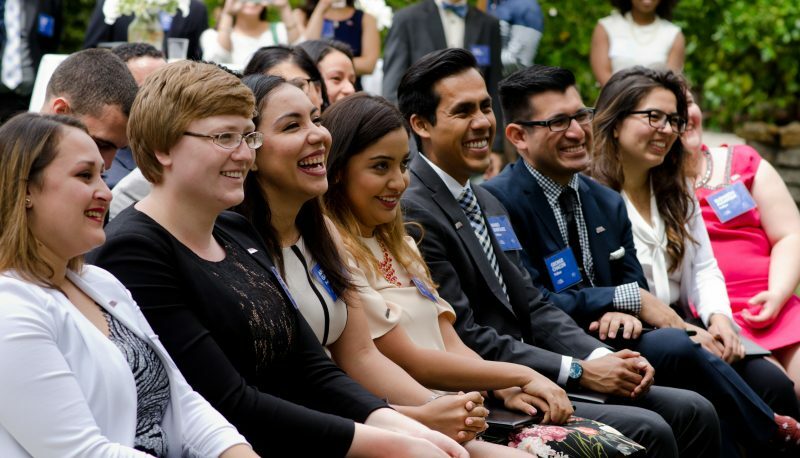 Xenophobia, bigotry and racism have become increasingly normalized, and in response, young people are boldly leading the charge for systemic policy change. 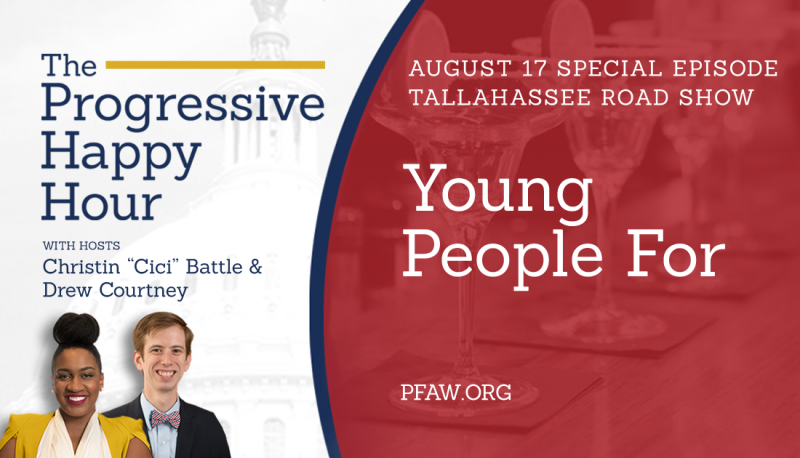 Affiliate PFAW Foundation’s Young People For (which co-host Cici Battle leads) leverages young people’s passion and energy to become progressive leaders in their communities. 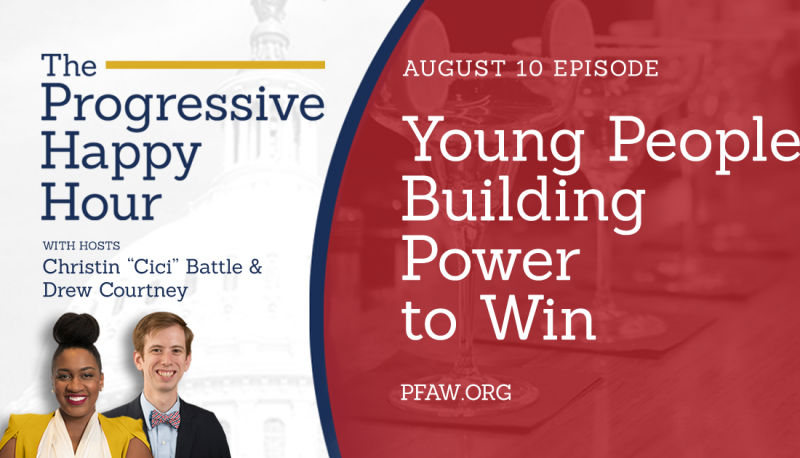 In the August 10 episode of “The Progressive Happy Hour,” co-host Drew Courtney interviewed Battle to discuss Young People For’s work and the issues young people are fighting for. Battle shared, “We partner with young people across the country to conceptualize their ideas for change. Young people … have the ideas to make our world extraordinary, but what’s missing is access to resources and opportunities.” She noted that their model, which engages young people through a year-long fellowship, is life-long: after the fellowship, fellows become alums of the program for ongoing leadership development and support. 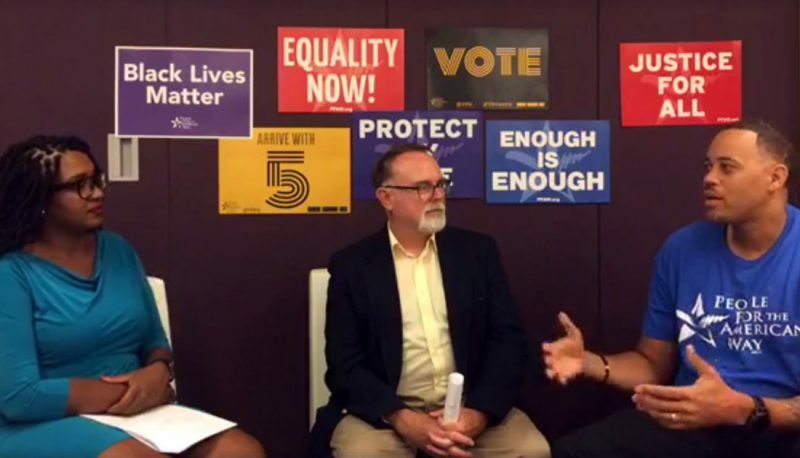 Battle reminded listeners, “Remember the reason why we’re building power to win is because we need everyone to be a part of this movement. We can’t piecemeal these elections and expect for our progress to be consistent.” Listeners can visit YP4’s website and follow them on Facebook and Twitter for updates on the program.